I thought I’d start publishing some of the old photos I have lurking as drafts on this blog. I’m not sure why they never got published – maybe at the time I wasn’t quite sure about the photo, or maybe I couldn’t think of anything to write and then forgot about them. Whatever the reason, I think some are still quite interesting. 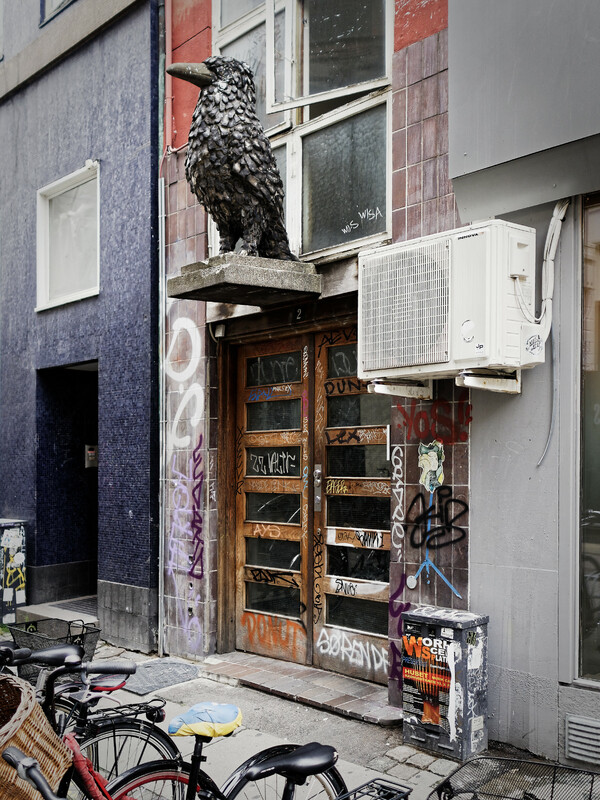 This is a giant raven statue (maybe it’s a crow, maybe it’s something else – I’m sure it’s a bird though) found over the entrance of a scruffy looking building in Copenhagen, taken last year. I don’t think the building is anything special – just a small apartment block in the middle of town – but the statue is impressively large and proud looking. The world would be a happier place if we all had giant animals over our doors. Really cool / the world would be a lot happier if people were shooting pics only instead of shooting each other. I’m just like you: I’ll draft my posts and completely forget about them. This is a great picture. It’s easy to doubt whether a picture is interesting enough to post, but then I remember it’s my blog so it doesn’t matter if I’m the only one that likes it. Although I’m glad someone else does, thanks! Yeah.as proud on its own impression.